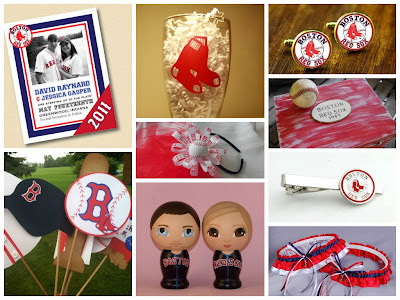 In honor of the Boston Red Sox's World Series win last night, I decided to whip up a wedding inspiration board featuring Red Sox items available on Etsy. 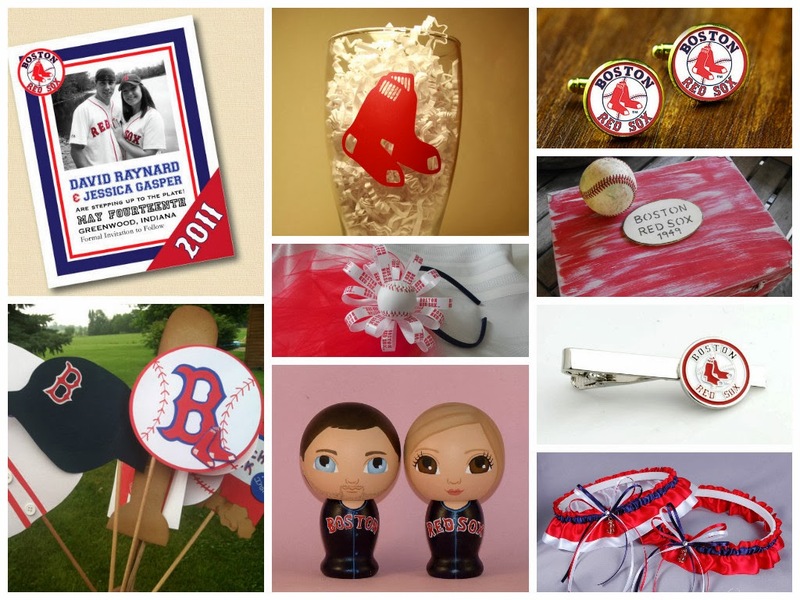 Perfect for the bride and groom who want to include their love for Boston and baseball in their wedding celebration! For more information or to order, click on the links below! Congratulations to the Boston Red Sox!